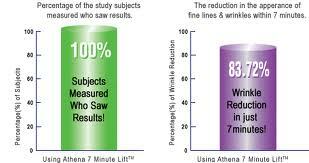 AND WRINKLES WITHIN 7 MINUTES, BASED ON A FULL FACE EVALUATION. by IRB to confirm the efficacy and procedure of the study. of women ranging in age from 41 to 50 years old.